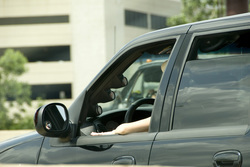 Tall City Tint uses only the highest quality window films chosen from experience and installed by professionals. We are locally owned and operated in Midland, Texas. Our experienced and knowledgeable team takes the time to inform and educate consumers and buyers about “the good, the bad and the ugly” features and benefits of all types of window films – those for home, office and vehicles. We are always just a phone call, or a visit away for any questions you may have even after the sale because our customers come first and we build our business on satisfied returning customers and word-of-mouth advertising. We will work with you one on one to provide you with the best film that will protect you from UV-rays, reduce heat and glare, and enhance your vehicle's comfort and style. 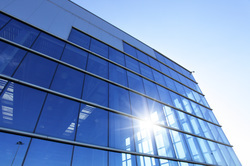 Temperature control, energy savings, shatter protection, and privacy are some of the many benefits window film can supply offices and commercial buildings. 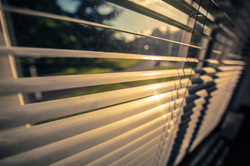 Window film reflects and absorbs incoming solar heat making it easier and less expensive to keep your home cool during hot months, providing additional savings your energy bills. We only offer brands that we would personally choose for our own cars, home, and business as a tried and true way of guaranteeing your satisfaction. Each come with heat rejection, UV radiation protection and a lifetime warranty.